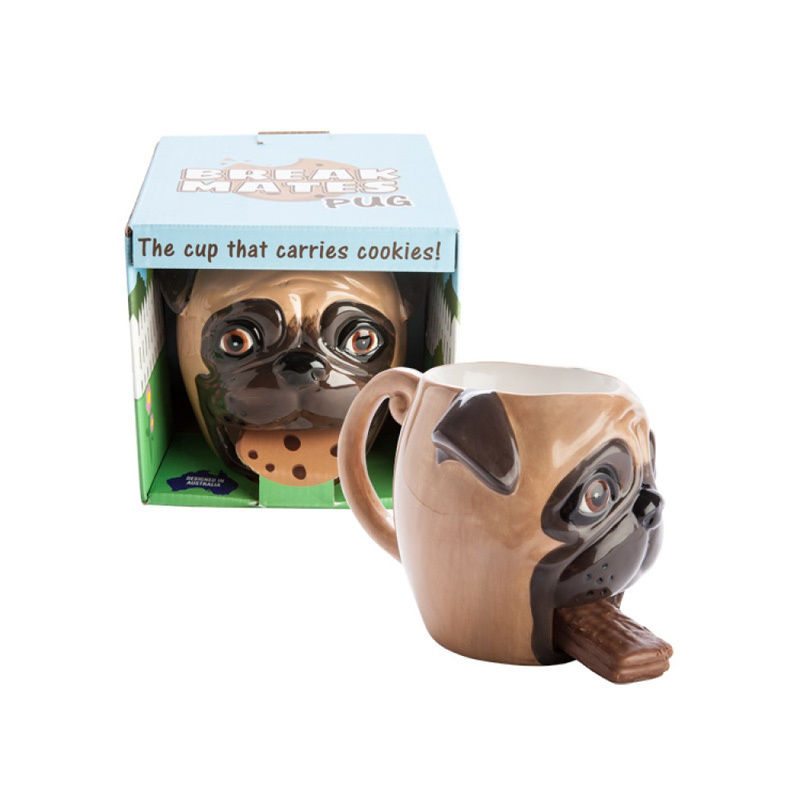 Break Mates Pug | The cup that carries cookies! The cup that carries cookies! Helping you out when your hands are full! This adorable Pug Mug is a man's best friend. 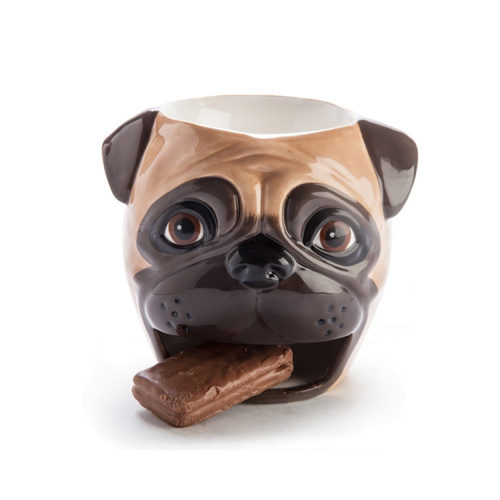 He'll bring you a warm beverage with a treat in his mouth! 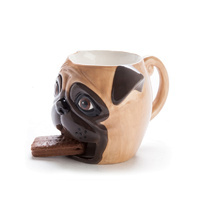 That's right, this ingenious mug has a space in his mouth to hold your favourite cookies when you hands are full! 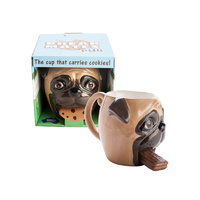 He's the ideal, all-in-one coffee date companion, perfect for the dog lover in your life. He's extremely well trained! Painted and sculpted ceramic mug.